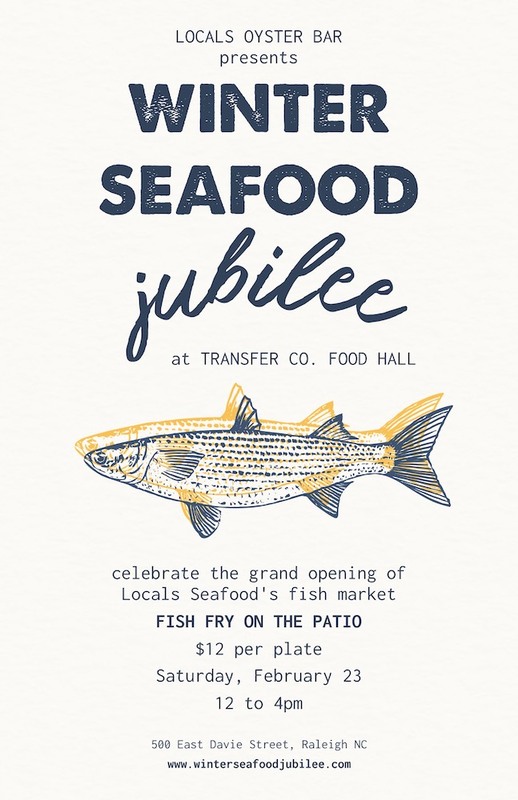 Join us on February 23 at Transfer Co. Food Hall for our Winter Seafood Jubilee. 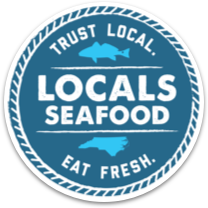 This is the grand opening of the newest Locals Seafood fresh fish market, and we’re celebrating it the only way we know how – with North Carolina seafood! Locals Oyster Bar will be hosting a fish fry on the Transfer Co. Food Hall patio, with additional food and raw oysters available at the bar. This event is free & open to the public! We will be serving fried seafood platters for $12, in addition to our raw bar & counter service menus. Coastal experts from North Carolina Sea Grant & North Carolina Coastal Federation will be on hand to answer your questions about North Carolina seafood. Learn about our state’s commercial fishing industry from NC CATCH & North Carolina Shellfish Growers Association. Plus you’ll meet just a few of our state’s excellent oyster farmers, and taste the oysters they grow. We’d love to see you there! Please RSVP on Facebook to help us get a head count.